There are a lot of neat one-off story lines when a player like Patrick Reed grabs the spotlight. 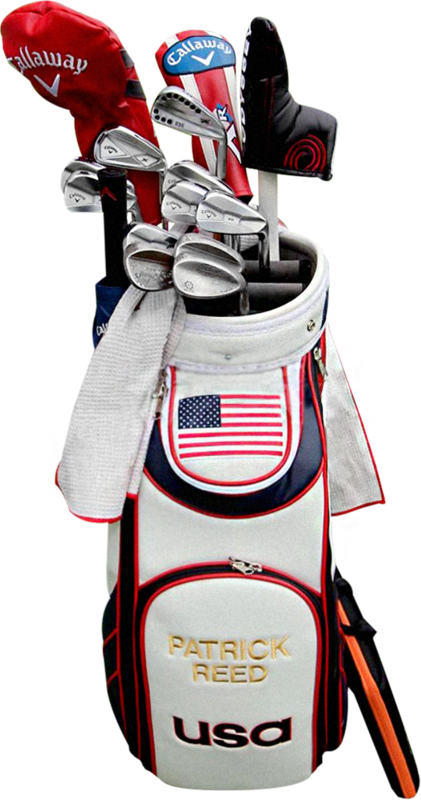 Like many aspects of his PGA Tour career, what was in his bag was uniquely his and his alone. Golf Digest offered it’s usual “What’s in the Bag” article coming out of Augusta (read it here). The lesson here is to explore, if you want. Our major manufacturing partners at Titleist and TaylorMade are ready and willing to get you that set of irons matched with their wedges and a driver/3-wood/hybrid combo. Full bag fitting and manufacturing consistency are wonderful advances and make a ton of sense. But, if you are like Patrick Reed (and not just the fact that you are between manufacturing sponsor contracts at the moment) and catch different feels from different particular pieces – than explore it. Mix and match. Scotty or Spider? 917D or Twist Face? TaylorMade Milled Grind or Vokey’s? Complete bag purity is a wonderful feeling. Consistency in both manufacturing and fitting solutions delivers a lot of knowledge and comfort. But still, there are always a couple clubs that may be unique to us so look around and find the mix you want.